Buy best Murah (মোড়া)from Bong Haat. 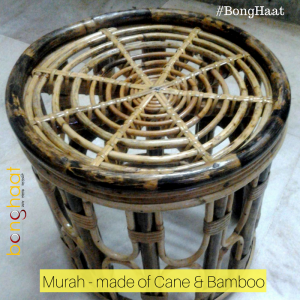 This Murah (মোড়া)is made of Cane and Bamboo of the district of Birbhum West Bengal. This is one of the unique handicraft from the state of West Bengal, India. 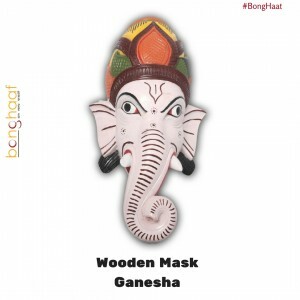 This Ganesha Wooden Mask is an ecstatic Gomira dance masks of Dinajpur district. 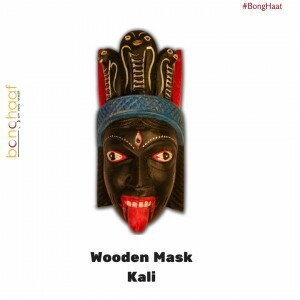 This Wooden Mask is made of Wood by a local artist from the district of Dakshin Dinajpur, West Bengal. This is one of the unique handicrafts from Dinajpur district of West Bengal, India. The mask started its journey from village dance performances to the urban drawing room and with time have become delectable pieces of decoration for any public or private space. This handcrafted Decorative Mask can be used for Wall Decor, Home Decor and Gifts. 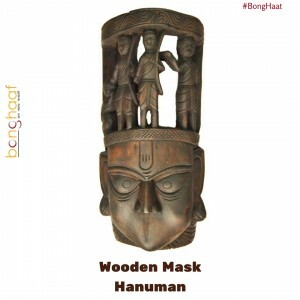 This Hanuman Wooden Mask is an ecstatic Gomira dance masks of Dinajpur district. This Wooden Mask is made of Wood by a local artist from the district of Dakshin Dinajpur, West Bengal. This is one of the unique handicrafts from Dinajpur district of West Bengal, India. The mask started its journey from village dance performances to the urban drawing room and with time have become delectable pieces of decoration for any public or private space. This handcrafted Decorative Mask can be used for Wall Decor, Home Decor and Gifts. 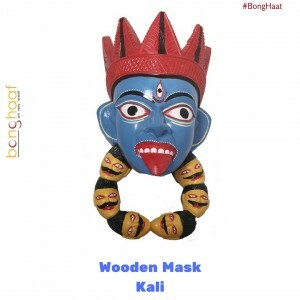 This Kali Wooden Mask is an ecstatic Gomira dance masks of Dinajpur district. 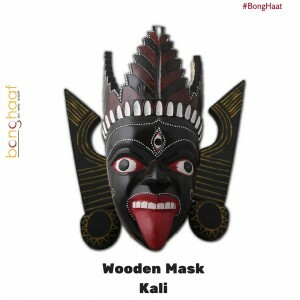 This Wooden Mask is made of Wood by a local artist from the district of Dakshin Dinajpur, West Bengal. This is one of the unique handicrafts from Dinajpur district of West Bengal, India. The mask started its journey from village dance performances to the urban drawing room and with time have become delectable pieces of decoration for any public or private space. This handcrafted Decorative Mask can be used for Wall Decor, Home Decor and Gifts.